Cost Comparisons and Buying Guides for Siding that Makes Your Home Beautiful! Few siding materials compare with the rustic beauty of natural wood. However, wood is extremely vulnerable to the elements and must be properly sealed to protect it from mold and rot. In this article, we will take you through a step-by-step process of resealing wood siding. Before undertaking this project, you need to know which products to use as well as the properties of your wood siding. 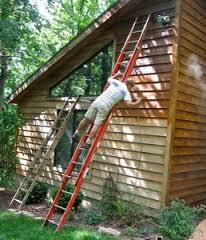 Sealer: Is a clear substance applied on top of the wood siding that does not change the color of the wood. This product is designed to shield the wood from water damage. Sealers with UV inhibitors can also help protect it from sunlight. Look for a resin-based product when resealing wood siding. Stain: This product penetrates deeply into the wood and changes its color. Softwood siding: Pine, fir, and spruce are commonly used for siding because they are relatively inexpensive wood options. However, they are also the most susceptible to damage and require more frequent sealing. You can read more about each of the wood types at Bob Vilas house. Cedar siding: A rot-resistant alternative to softwood siding. Cedar Siding is straight, resists splitting, and is less prone to insect damage than its softwood counterparts. Before you begin to work on your siding, you need to prepare your yard so that nothing gets damaged by flying debris, stain splatters, or cleaning chemicals. Cover outdoor appliances, patio furniture, and plants with canvas drop cloths. You may want to trim branches that are touching the house or tie a cord around them and pull them out of the way. This will keep them from becoming a nuisance as you work on the house. The siding must be thoroughly cleaned and old layers of paint or sealer must be removed before you can apply a new coat. Begin by sweeping off dust and cobwebs. Inspect the siding for rot or damage. Have any damaged pieces replaced. If necessary, use a paint removing product to remove an old layer of paint. Hose down or pressure-wash the exterior of your home. Make sure the siding is completely dry before applying the sealer. If you are staining the wood, stain it first and then apply the sealer. Go slowly and make sure the sealer seeps into every crevice. If the manufacturer recommends two coats, wait for the first to dry thoroughly before applying the second. $10.oo to $15.00 per gallon mineral spirits or thinner for clean up. Before you rush out the door to the local big box there is one more important cost to consider. Your Time. How much are you worth per hour to do this task. If its a labor of love then that is one value but if it is on the Big Boy (Girl) List of things that has to be done then how many Weekends can you spare? So after figuring out all the cost you may ask yourself what would it cost to have it done by a professional. Which ever way you decide to go. DIY or hiring a Professional. The cost and time of restaining your wood siding is a great investment in the future of your home as well as the new pride it brings when you have friends and family over. Which Type of Siding Has the Highest Efficiency Factor? When is the Best Time of Year to Replace the Siding on your Home? The Siding Price Guide is here to help homeowners sort through choices around residential siding for their home. We offer a detailed look at the leading types of siding, as well as providing details about the installation and costs associated to each. 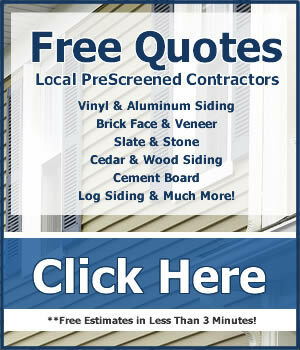 Learn more about the Siding Price Guides on our detailed company information page.